COSMIC research activity is both in the domains of materials and electronics. This multidisciplinary approach is used for an optimized design and development of integrated transduction systems. The rationale behind this is to transform requirements (i.e. 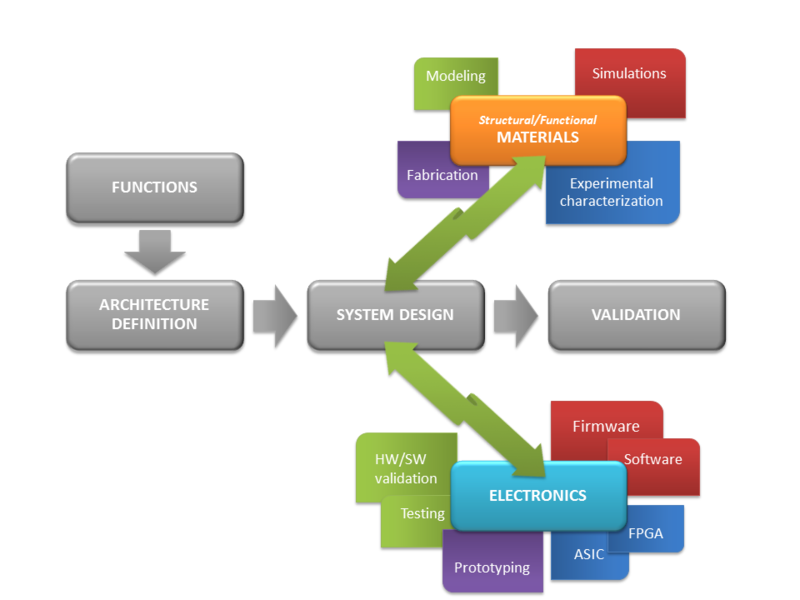 desired functions) into an optimized system of a defined architecture.